On the Password reset page, enter your username. Your username is usually your work email address. After you click the NEXT button you'll get an email with instructions on how to create a new password. If you don't remember your username, you can retrieve it by clicking the 'Forgot username?' link below the username field. 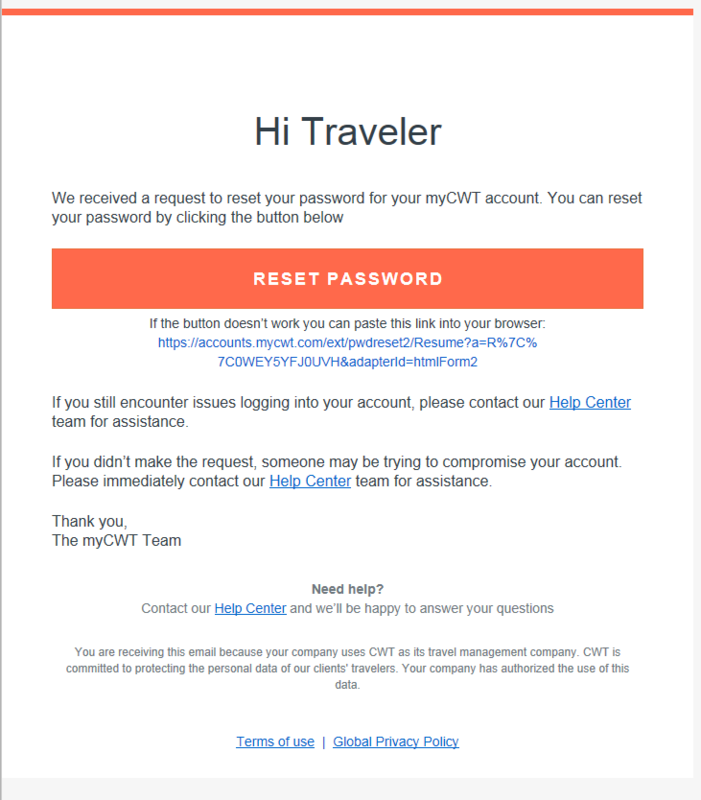 Go to your inbox and check for an email with a subject line of "Reset your CWT password." If you don't see this email, check your spam folder. It might be in there. Click the 'RESET PASSWORD' button in the email in order to set a new password. Create a new password. Make sure your password is set according to the password rules. 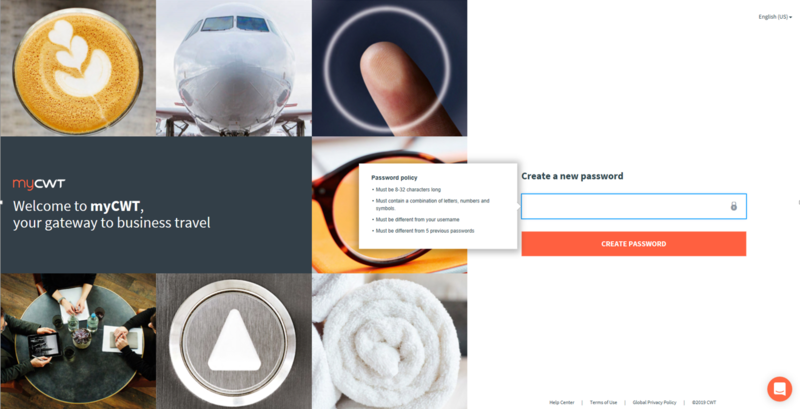 After clicking the 'CREATE PASSWORD' button, you will be directed to the login page to re-enter your username and new password.